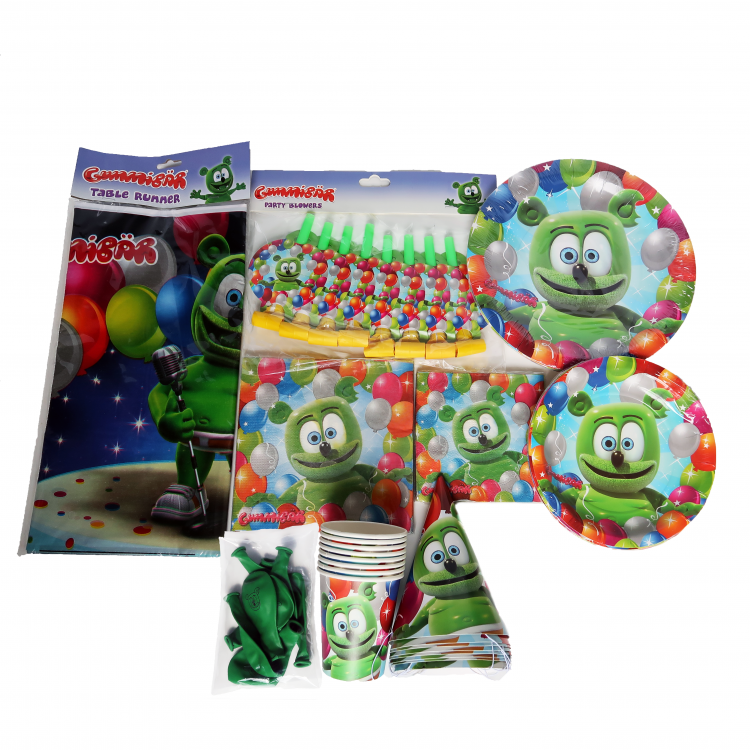 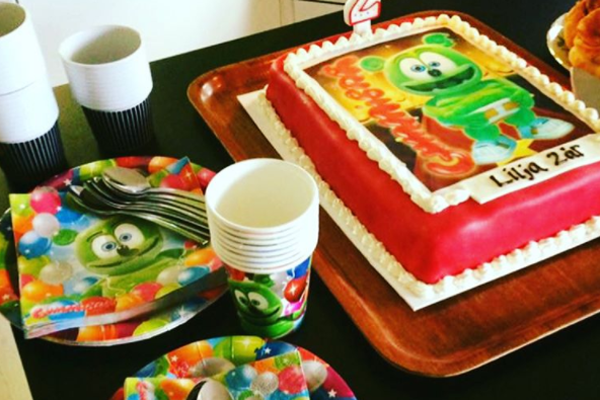 A Colorful Birthday Party Made Possible by Gummibär! 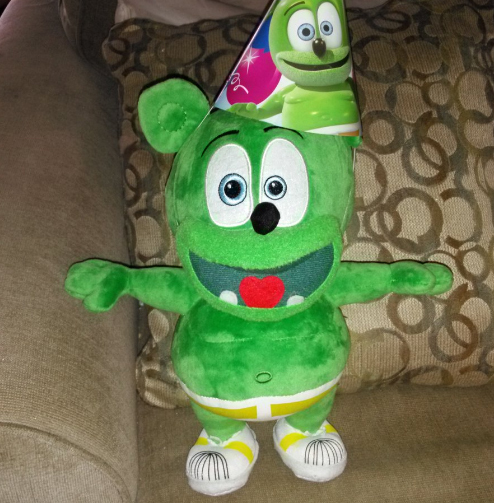 Fan Friday: Even Plush Toys Party at a Gummibär Birthday Party! 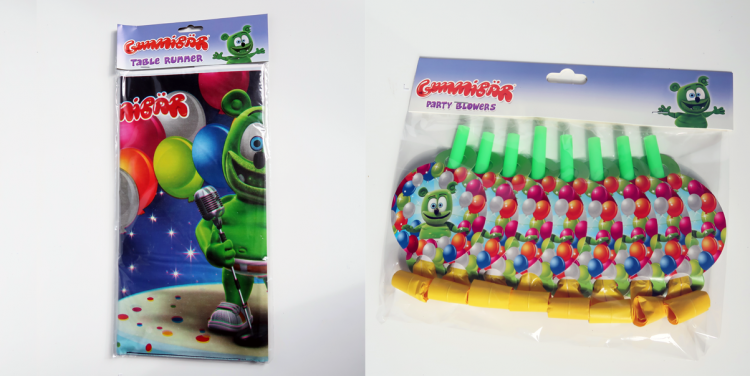 Gummibär Pillow Shaped Boxes For Party Treats! 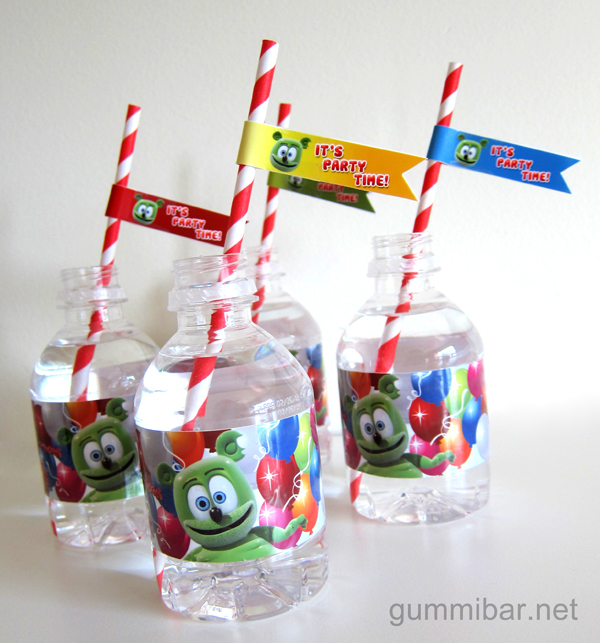 Festive Gummibär Straw Flags Now Available! 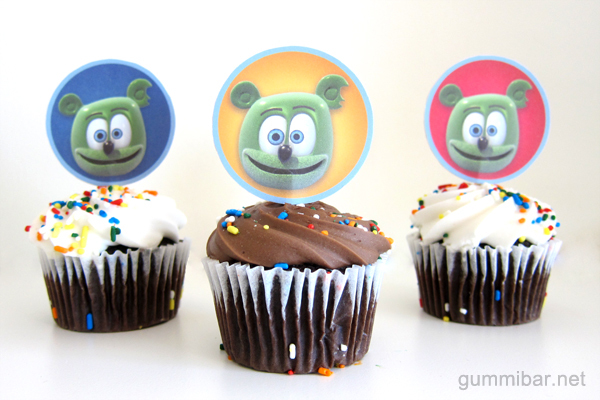 Gummibär Cupcake Toppers Gummibär Water Bottle Wrappers For everyone who would like to make their Gummibär party even more gummilicious, two new party items have been added to the Gummibär Shop: Cupcake Toppers and Water Bottle Wrappers! 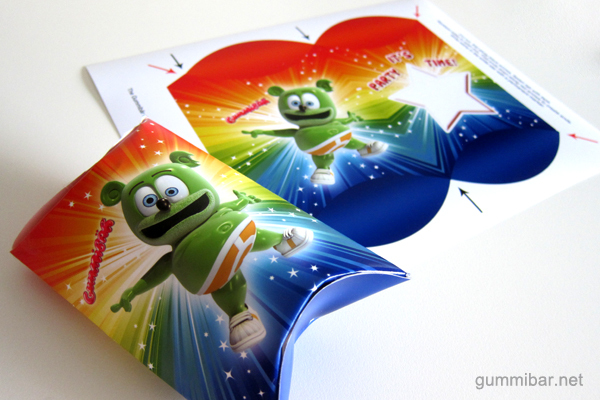 Each come as two printed sheets, ready to cut and assemble. 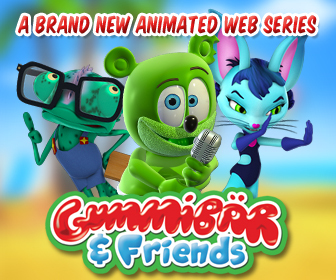 Visit the Gummibär Shop for more details. 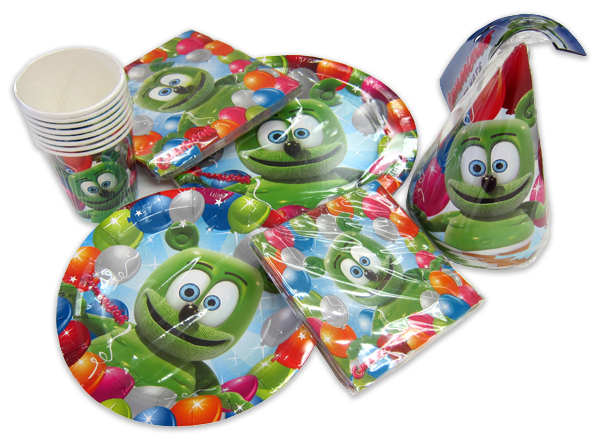 Gummibär Party Supplies Have Arrived!